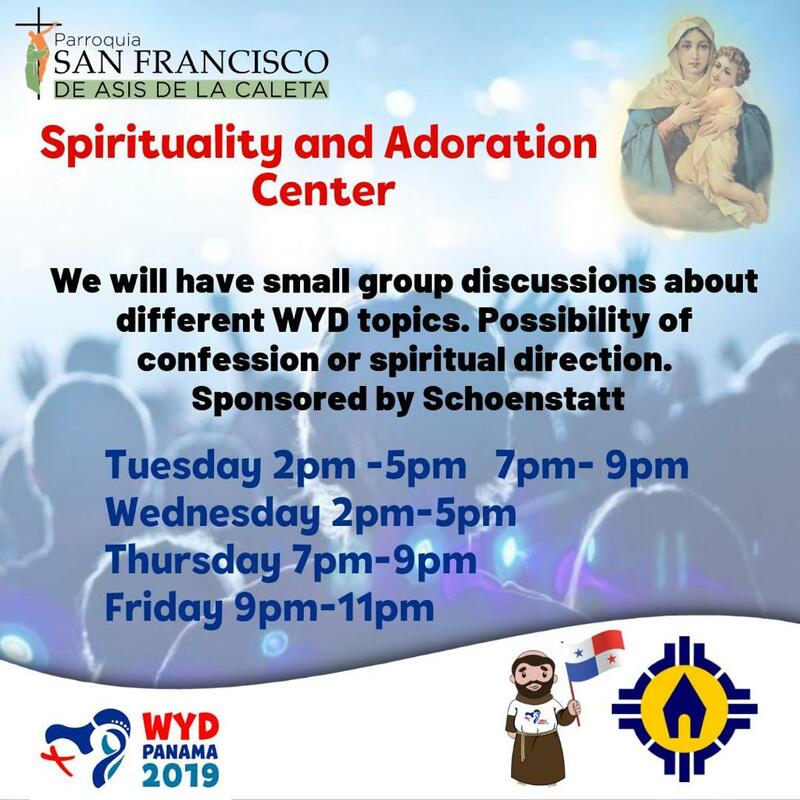 Indeed WYD was already being felt at the San Jose airport – with a large group from Guatemala, others from Canada, Colombia, Brazil, and Germany. 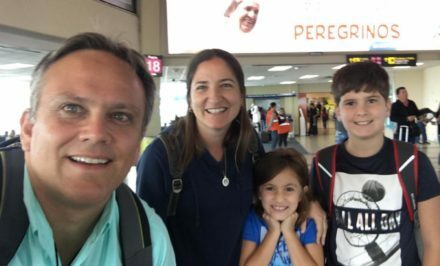 While they waited for the flight to Panama City, the airline representatives welcomed them especially during boarding the aircraft. 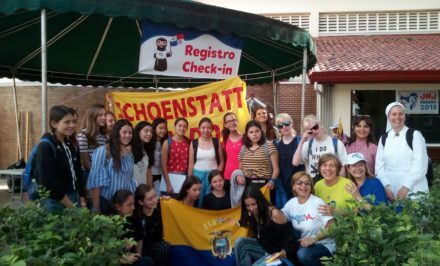 Not to mention arrival in Panama filled with welcome posters for the Pope and his young people. 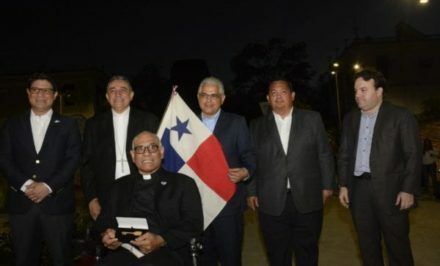 Some pilgrims were welcomed with music, and Bishop Ulloa personally welcomed others all with great affection. In the line in front of the immigration office, “I am here…the Servant of the Lord…” was heard. Flags, posters, placards… The supermarkets offered a box labeled “Welcome Kit”. The whole city is one big World Youth Day welcome for these young pilgrims. 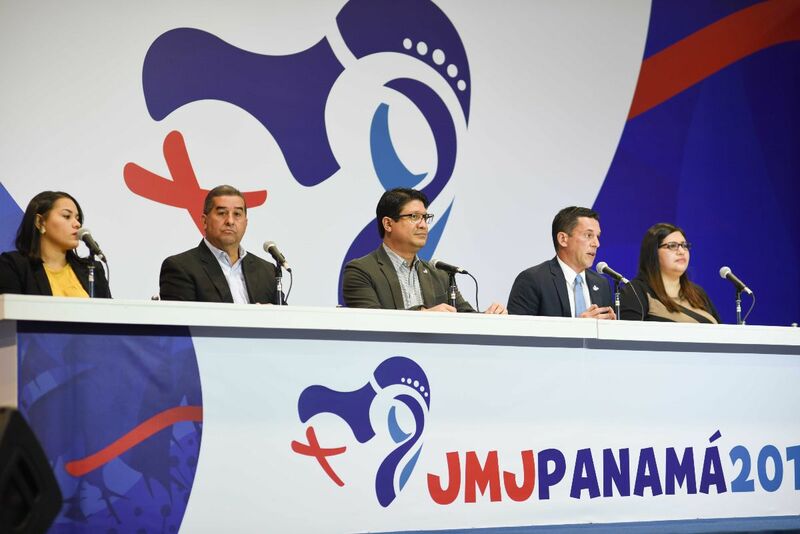 Since the announcement World Youth Day’s (WYD2019) headquarters would be in Panama, the local authorities have been working on the logistics, protocol acts, and welcoming the Holy Father, reported Luis Miguel Hincapié, the vice-chancellor of the Panama Republic in a press conference on January 21st. 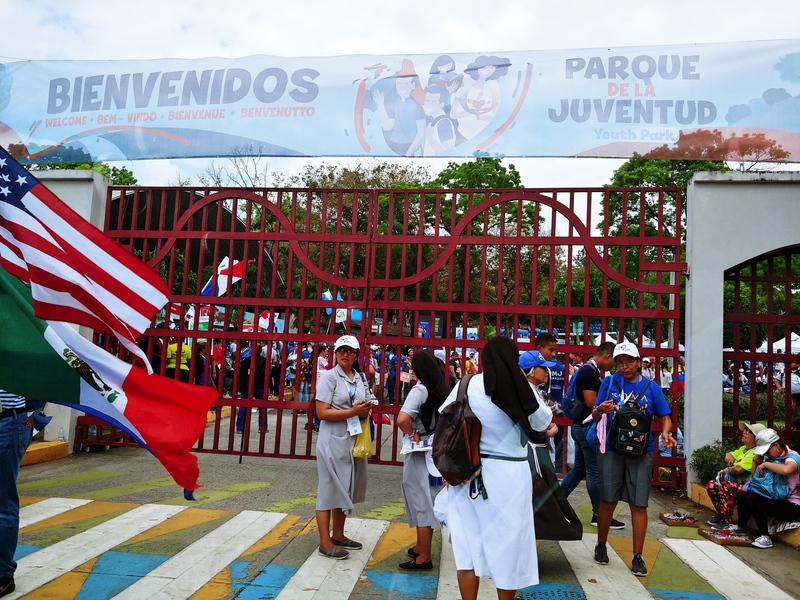 For his part, Víctor Chang, the Local Executive Secretary of the Organizational Committee, pointed out all the main events are free, and everyone is invited to participate, the pilgrims that have previously obtained their passes, as well as everyone who wants to attend. For those who are not registered, there will be designated areas allowing them to participate. 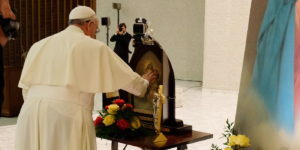 With every pilgrim who came, with every song, in every Mass, the desire has grown for those not as young to watch the Pope’s events on TV and go out to encounter him and these enthusiastic youths. 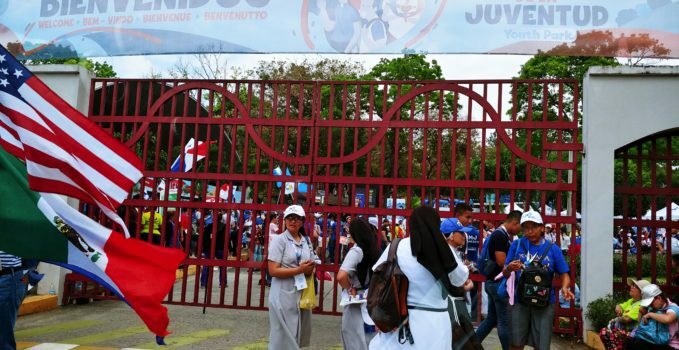 Precisely on Sunday, January 20th, only two days before the start of World Youth Day (WYD) there was an outage at noon that left a huge part of Panama without electricity, while other regions of Nicaragua, Costa Rica, and Guatemala were also affected by the incident. 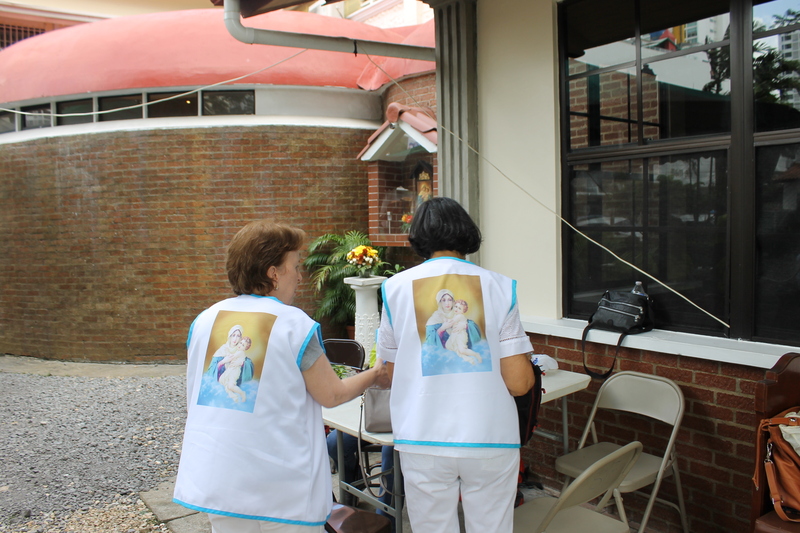 The outage caused several metro lines— the only one in Central America— to suspend its services, and almost all the country’s restaurants had to close, which forced the delay of the WYD Organizational Committee press conference. There was no Internet for hours…and everyone’s prayers were one: “That the electricity be fixed before the young people arrive.” And it was fixed. 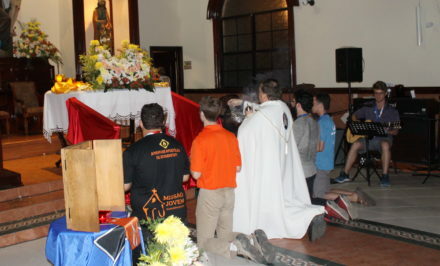 This past Sunday, the 5:00 pm Mass in San Francisco de Caleta Parish was full with young people from Portugal, Spain, and Austria… This community, with its pastor Fr. 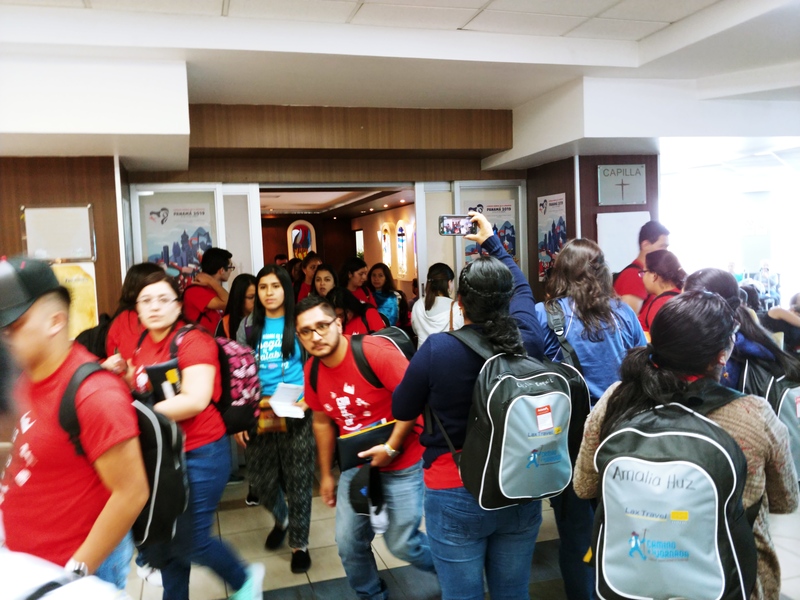 Rómulo Aguilar, a Schoenstatt Diocesan Priest and the “first Schoenstatt missionary” in the country, was transformed into an information center and by Schoenstatt spirituality at WYD2019 in Panama. 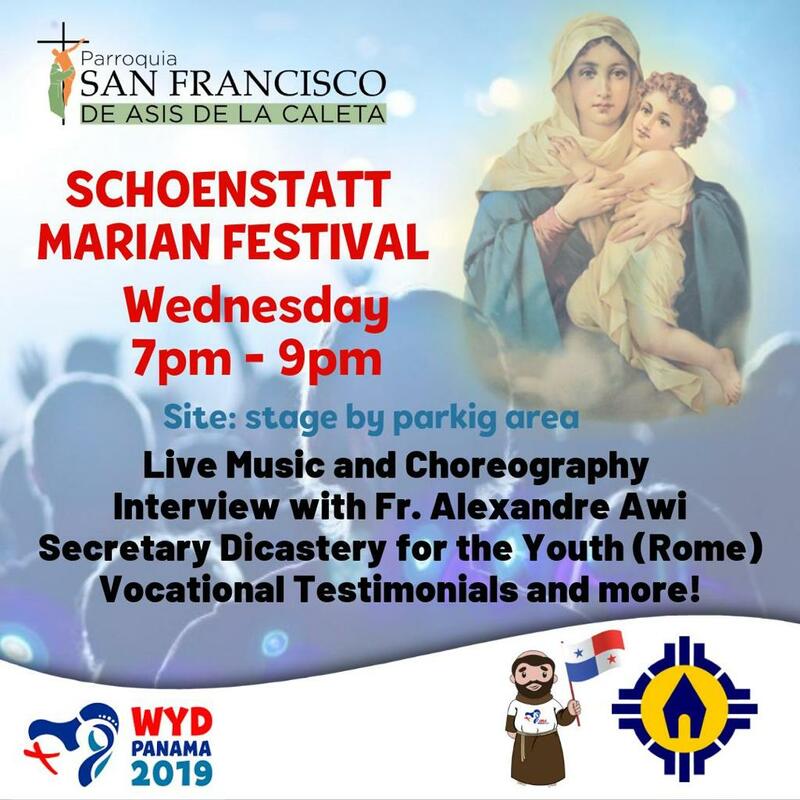 This center will be a place of encounter and welcome for the young people that want to learn about and experience Schoenstatt spirituality through different activities and offerings, such as Adoration of the Blessed Sacrament with meditations and songs in different languages, discussion groups on different topics, confession, personal conversation for spiritual direction, or counseling with some lay adviser, sister or consecrated person. Yes, all of Panama is celebrating!